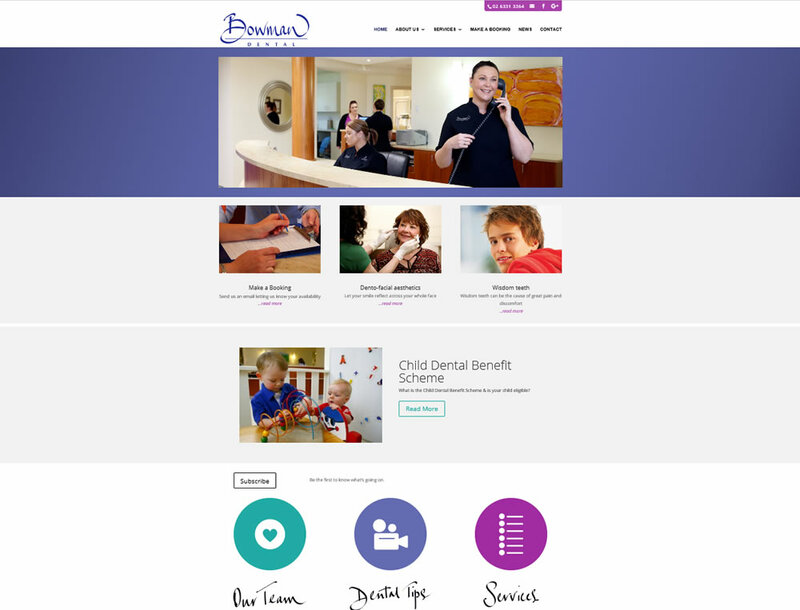 Bowman Dental a website from the studios of Net Maintain. Bowman Dental is a leading provider of dentistry services in the Bathurst region. All facets of dentistry, dental surgery and rehabilitation are available. The professional service delivered at Bowman Dental receives special attention in this website. All the dental services and therapies available are also featured along with treatment options and information on each service. Another feature found among the material included are the educational video’s. Visitors can also find articles as well as downloadable information sheets. You can visit the Bowman Dental website here. Rebuild website as part of new marketing campaign. Include ability for user updates and edits.